A comfortable win in the end for Colombia who really looked the part with James Rodriguez on as a second-half sub. Japan showed some decent attacing ambition and had their chances, but Colombia had the quality to kill off the game. Colombia finish as Group C winners and now face Uruguay in the second round in Rio de Janeiro. So, Greece go through to the last 16 in the most dramatic circumstances. Samaras, the game’s outstanding performer, showed immense composure to convert the last minute penalty. Heartbreak for Ivory Coast, who thought they had done enough to get the point they required. But, on the balance of play, Greece just about deserved their win. Samaras, the man brought for the penalty, steps up and places the ball into the corner to give Greece the lead and take them through to the knockout stages. Samaras is brought down in the penalty area and the referee pints to the spot. What drama! Rodriguez adds a fourth for Colombia with an exquisite finish. Played in by Martinez, he turned inside the defender and chipped the keeper. Faryd Mondragon has become the oldest player in the history of the World Cup, breaking Roger Milla’s record after appearing as an 85th-minute substitute. Another goal for Jackson Martinez. Again plauyed in by James Rodriguez, he turned inside Uchida and curled his shot past Kawashima. Well worked goal and a crucial one too. Gervinho receies the ball on the edge of the penalty area and he slides a perfectly weighted pass in to Wilfried Bony who sidefoots past the Greek goalkeeper. That strike allows Ivory Coast to leapfrog Greece into second place in the group. Ivory Coast are pressing hard for an equaliser but they remain vulnerable to the counter attack. On one such breakaway, Girogos Karagounis lets fly from 40 yards and the ball cannons off the crossbar. Colombia are back in front. A run from half-time sub James Rodrigue sets up Jackson Martinez, whose shot takes a slight deflection off a Japan defender. A lively 45 minutes. 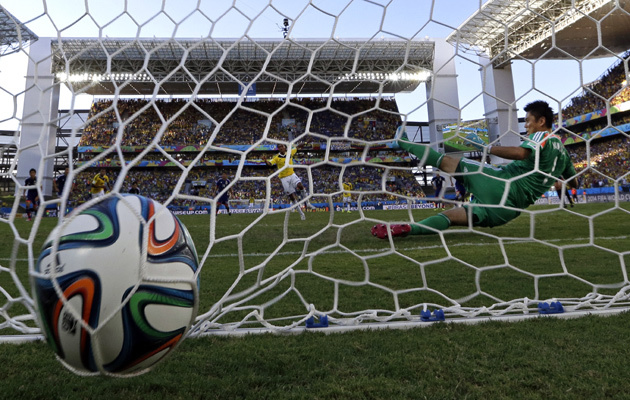 Colombia took the lead through Juan Cuadrado’s penalty and Adrian Ramos was brought down. But Japan were positive throughout and scored a deserved equaliser through Shinji Okazaki on the striker of half-time. Japan equalise with the last action of the half, a terrific goal, created by Keisuke Honda, whose cross was met with a diving header from Shinji Okazaki. In a game of few chances Greek took one of the two that came their way. It was an accomplished finish by Samaris, but the Ivorians were the architects of their own downfall. Bad mistake by Tiote who gives the ball away under pressure, Samaras plays it forward to Andreas Samaris and the substitute slots the ball past Barry. As things stand, Greece are going through. Georgios Samaras breaks forward for Greece and plays a pass into the path of Giannis Maniatis. He takes a touch before lashing in a right-foot strike which beats the keeper but comes back off the bar. Juan Cuadrado puts Colombia ahead from the penalty spot after Adrian Ramos was brought down by Japan defender Yasuyuki Konno. For the Ivory Coast, Didier Drogba is handed his first start of the World Cup, coming in for Wilfried Bony. Sabri Lamouchi also brings in Kolo Toure in the place of the suspended Didier Zokora. and Salomon Kalou for Max Gradel. Greece make three changes from their last game against Japan. Lazaros Christodoulopoulos, Dimitris Salpingidis and Fulham’s Girogos Karagounis all start. Greece: Karnezis, Torosidis, Papastathopoulos, Manolas, Holebas, Christodoulopoulos, Maniatis, Karagounis, Kone, Salpingidis, Samaras. Ivory Coast: Barry, Aurier, Kolo Toure, Bamba, Boka, Die, Tiote, Kalou, Yaya Toure, Gervinho, Drogba. Colombia coach Jose Pekerman has made eight changes to his team to face Japan. 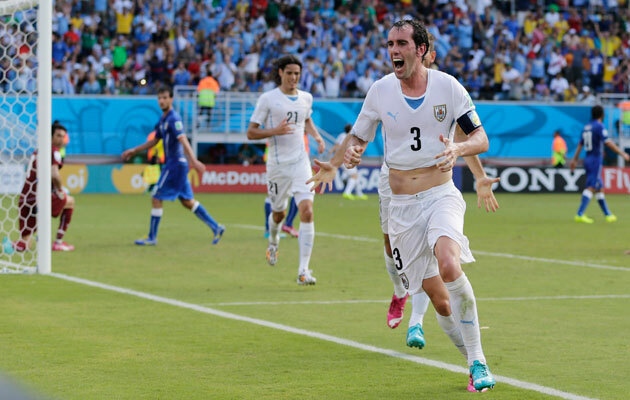 Italy are out of the World Cup after conceding a late goal to Uruguay’s Diego Godin. The South American side go through to the last 16, but whether they will have the services of Luis Suarez in the knockout stages is unclear. The Liverpool striker appeared to bite Italy defender Giorgio Chiellini and if so, surely his tournament is now over. 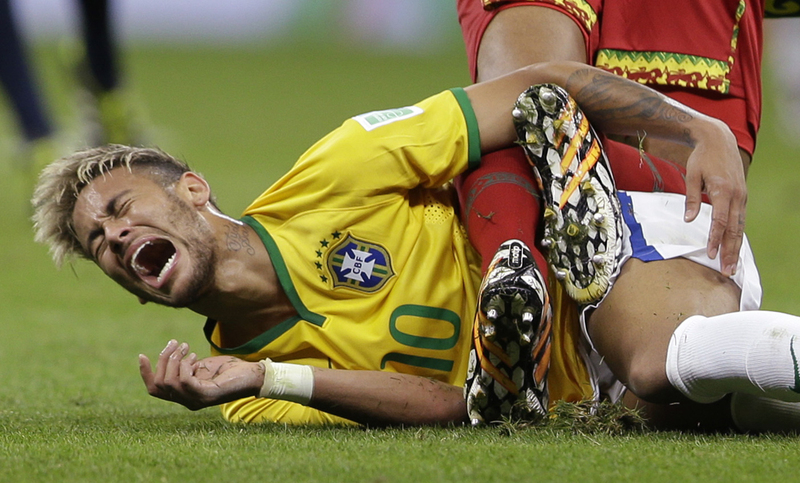 It’s ended goalless in Belo Horizonte. Costa Rica have got the point that means they top Group D, making them the story of the group stage. Meanwhile England’s World Cup has ended with a whimper, bottom of the group, with Steven Gerrard and Frank Lampard contemplating the end of their international careers. Moments later Uruguay are ahead from a corner. Diego Godin climbs highest to head past the despairing dive of Buffon. Italy have less than ten minutes to rescue their World Cup campaign. Giorgio Chiellini appears to be claiming to have been bitten by…who else, Luis Suarez. It’s hard to tell from the replays, but what is clear is that both players should have been sent off there for an off-the-ball incident. Suarez threw his head at the Italian defender, who responded with an elbow to the face of the striker. That’s a great save by Gianluigi Buffon. Cavani loses control of the ball on the edge of the Italy penalty area, but it falls fortuitously to Suarez, who hits it first time, only to see Buffon parry the ball to safety. How critical might this be? Claudi Marchisio goes over the ball and scrapes his studs down the calf of Arevalo. The referee immediately reaches for his red card and the Italians are livid. Italy must play for the final half an hour with ten men. Uruguay almost break the deadlock. Rodriguez plays a lovely one-two with Luis Suarez, but screws his shot wide with just the goalkeeper to beat. Half time in Natal and there’s been very little to get excited about. Italy have dominated the possession, without ever looking like they will do anything with it. Uruguay, who need a win to go through, appear bereft of ideas and, on the evidence of the opening 45 minutes, are heading out of the competition. Their attacking impotence was best summed up by a speculative 60-yard effort from Martin Caceres which flew about 20 yards wide of the target. Goalless at the break. England’s second string, understandably, took a little time to get into their stride but created a few chances without really opening up Costa Rica. The Ticos came closest when Celso Borges’ free-kick clipped the to side of the crossbar and England had a strong penalty shout when Daniuel Sturridge was bundled off the ball. Then Sturridge, unmarked, should have got his header on target after Phil Jones headed back from a corner. Not a great game so far but Costa Rica are on course for the point they need to top the group. It’s been a quiet start in Natal, a situation that will suit Italy, who require just a point to go through to the knockout stages, However, they have suffered a significant setback with Mario Balotelli being shown a yellow card, meaning that the striker will miss their second round match. Borussia Dortmund-bound striker Ciro Immobile is given his first start of the tournament for Italy. Uruguay name the same side that beat England, with Luis Suarez fit to start once again. Italy: Buffon, De Sciglio, Chiellini, Darmian, Marchisio, Balotelli, Barzagli, Immobile, Bonucci, Pirlo, Verratti. Uruguay: Muslera, Godin (c), Pereira, Rodriguez, Suarez, Gimenez, Lodeiro, Arevalo, Gonzalez, Cavani, Caceres. England’s World Cup experience wasn’t great, but it could have been a lot worse. Brian Glanville calls for some perspective when assessing the performance of Roy Hodgson’s team in Brazil. Here are the teams for today’s game in Belo Horizonte. England are confirmed as the starting eleven named by Roy Hodgson yesterday, with only Gary Cahill and Daniel Sturridge remaining from the starting line-up against Uruguay. Costa Rica have added a second striker in Randall Brenes and replaced Michael Umana with fellow defender Roy Miller. On a similar theme, here’s another wonderful piece of work. 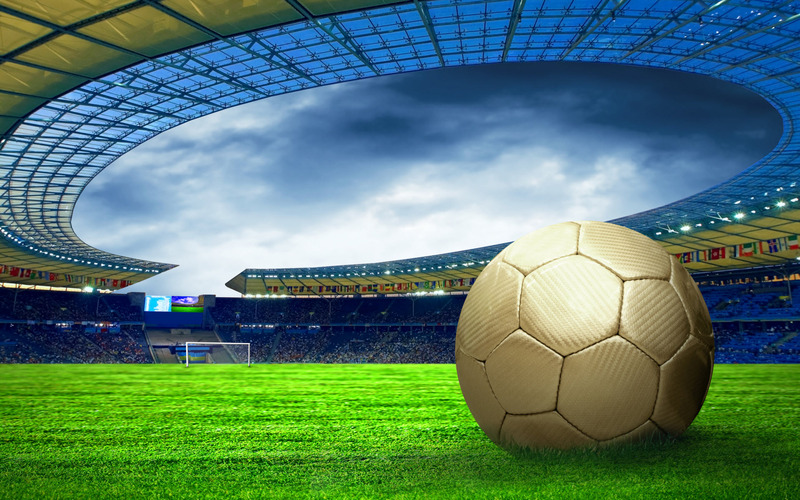 It tells the history of the World Cup in the form a fantastic infographic. If you have a few minutes on your hands you could do worse than checking it out. Over the last few weeks we’ve been sent some great infographics relating to the World Cup. One such was an amazing piece of work based on the cost of completing a Panini World Cup sticker book. You may laugh, but this is serious business. There’s a blog by Simon Whitehouse and also an academic paper by Sylvain Sardy and Yvan Velenik explaining all the maths involved. Even better, some clever chap at codhesive.com has come up with a fantastic visual representation of this research. You can see their work here. Click on the ‘Start collecting’ icon to see the visualisation in all its glory. Brazil’s Neymar delivered once again for the host nation, scoring twice in their 4-1 win over Cameroon. However, as you can see, it was not all plain sailing. One team who will not be making it through to the knockout stages are England who face Costa Rica in Belo Horizonte later today. Students of the English game will know that Belo Horizonte was the scene of arguably the country’s greatest ever footballing humiliation, their 1-0 defeat to the United Staes in the 1950 World Cup. 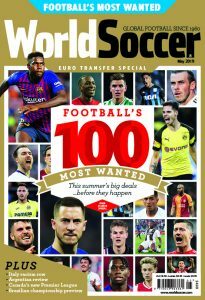 World Soccer’s Keir Radnedge has spoken to one of the ballboys at that game, who vividly remembers the sense of excitement he felt at the prospect of seeing in action the country that had invented the game of football. After the excitement of Monday, in which we saw the first four teams reach the knockout stages of Brazil 2014, we go through it all again today. Four more places are at stake and thus far, Colombia and Costa Rica have claimed two of them, with Uruguay and Italy competing for the second Group D berth, while Japan, Greece and the Ivory Coast are in a three-way fight for the final Group C place.